You can serve this salsa immediately or make ahead a few hours or even the day before to allow flavors to blend. Store covered, in the refrigerator until ready to serve. 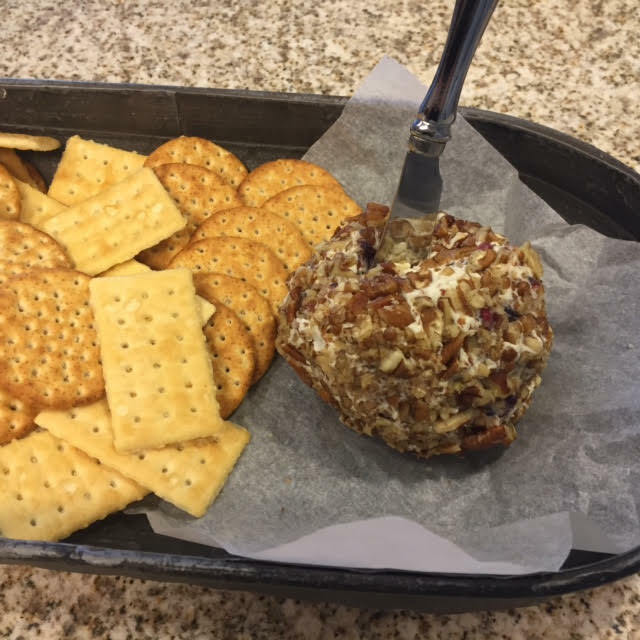 Cranberry Bleu Pecan Cheese Ball – faux pas and all! 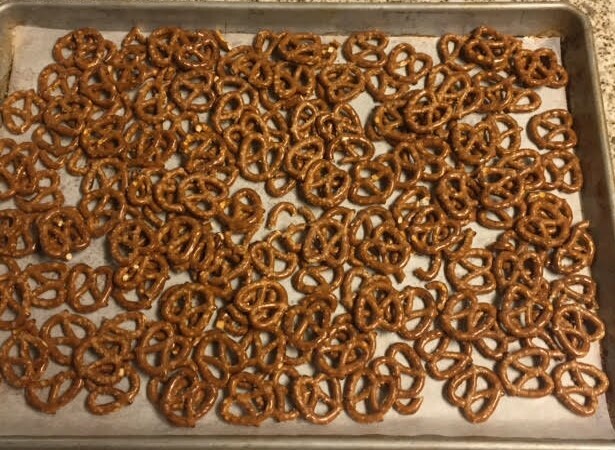 Soooooo Easy…only 4 ingredients and it is awesome! One night this flavor combination just popped in my head so I quickly wrote it down…a few weeks later I had the opportunity to try it out and serve it at a luncheon. It was a hit! I originally served it as a spread with crackers and also with celery sticks for a gluten-free option. I’ve made it several times since and it is always well received. I hope you’ll give try it out and taste for yourself. Enjoy! Quick and easy cheese ball or spread! Only 4 ingredients! 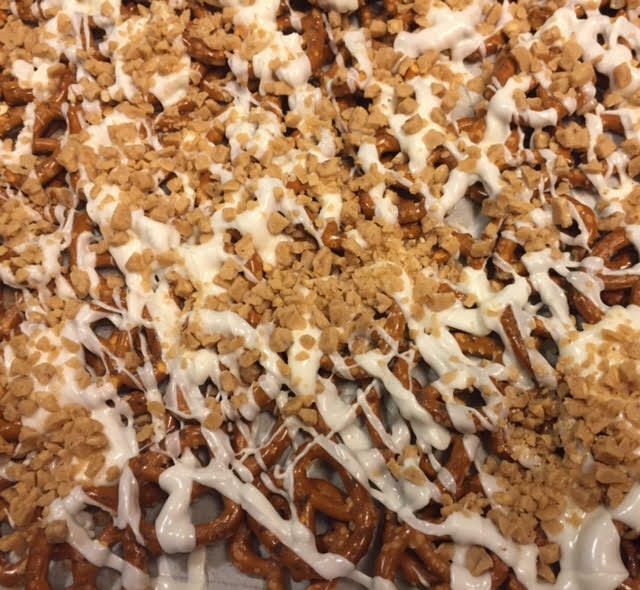 Easy Toffee Pretzel Bark – A fabulous gourmet snack! This makes a great party snack. 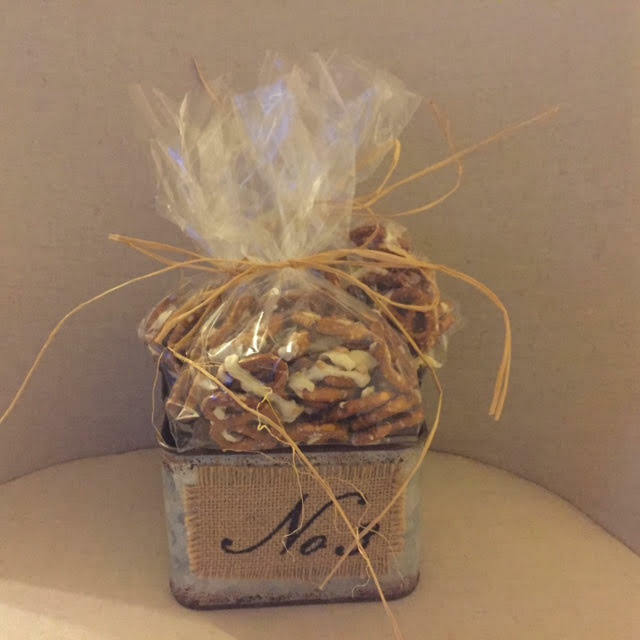 Serve in baskets or put in small treat bags tied with ribbons. You can also use colored candy melts to coordinate with the occasion. I sometimes use colored sprinkles in place of the toffee. How to make “Apple Dumplings” an Easy and Classy Dessert! 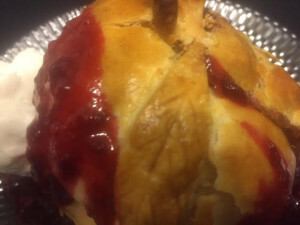 Don’t be fooled…these Apple Dumplings look difficult….. but they are soooooo easy! Just watch and see…. *Raspberry Sauce In a small saucepan, mix 1 12 oz. package frozen raspberries (unsweetened) and 2/3 cup sugar. Cook over medium heat until boiling...mix 1/3 cup water and 1 Tablespoon corn starch together, stir into boiling raspberries and sugar, stir until thickened. Remove from heat. Allow to cool slightly. Mixture will continue to thicken as it cools. On top of each apple, place a "stem" and 2 "leaves"
I hope you will push out of your comfort zone and make these “Classy” Apple Dumplings! Remember, if you can dream it… You can do it….and I just showed you how! You can do this! Confidence comes with practice! You’ve heard the saying….If at first you don’t succeed….try, try, again! Helping people gain confidence in the kitchen is my dream! I’ve put off doing this because I was scared 🙁 I may look confident but to be honest….putting myself out there like this is SCARY! I’m taking my own advice and just doing it! Milk, mayonnaise and Hidden Valley Ranch Dressing Mix…It’s really that easy! You will never buy the stuff in the bottle again! Will keep 1-2 weeks depending on the freshness of your milk. Add fresh ground pepper, if desired. Pour into a 1 pint mason jar, or other, and refrigerate until ready to use. It’s Finally Here! “Nana’s Family” Cookbook available in digital format! Buy today! I created this special cookbook as a way of honoring my beloved grandmother, “Nana”. “Nana” was mother to 5 children, grandmother to 17 grandchildren and great-grandmother to more than I can count. “Nana” always had room at her table to feed whoever came to her door. “Nana’s Family” extends far beyond her natural born offspring. “Nana” taught us that there is no stranger and everyone was welcome to be a part of her family. 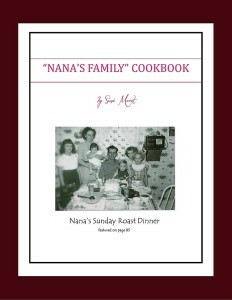 This cookbook is a collection of recipes collected from “Nana’s Family” they are sure to wow and delight your family! Only 250 copies were ever printed…..it has never been available to the public until now! I know you will enjoy the recipes and stories that await inside to delight you and your family! Also, if you haven’t already joined me on my blog journey, I hope you will sign up today. 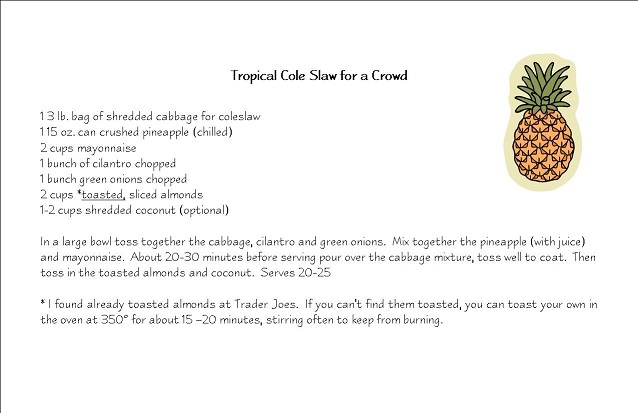 Each week I will be sending out recipes as well as fun instructional videos straight to your inbox. I will be sharing my cooking and creative ideas with you and encouraging you to try them out for yourself. Thank you so much for the opportunity to be a part of your life’s journey! I’m delighted we have crossed paths! Tis the season for potlucks and parties…. 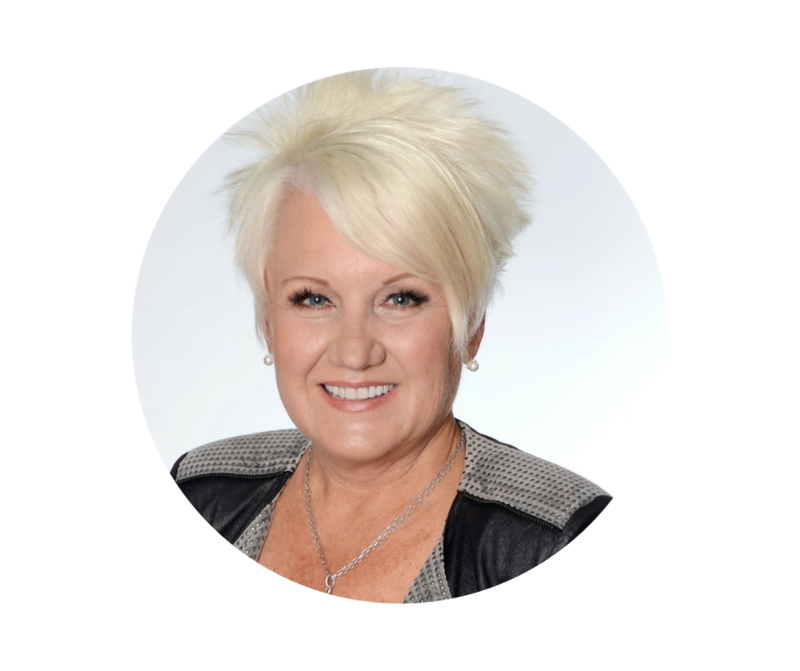 The truth is …..as much as I enjoy cooking and entertaining ….. thinking about what to make and take for picnics, BBQ’s, and potlucks used to stress me out. Now I don’t have to think about it or stress about it because I take the same things over and over. Yep….it’s true! That doesn’t mean that I never switch it up…..it means if I am in the mood to switch it up I do, and if I feel stress coming on over it I rely on my tried and true dishes that I can make quickly and easily and that still have the “wow factor”. 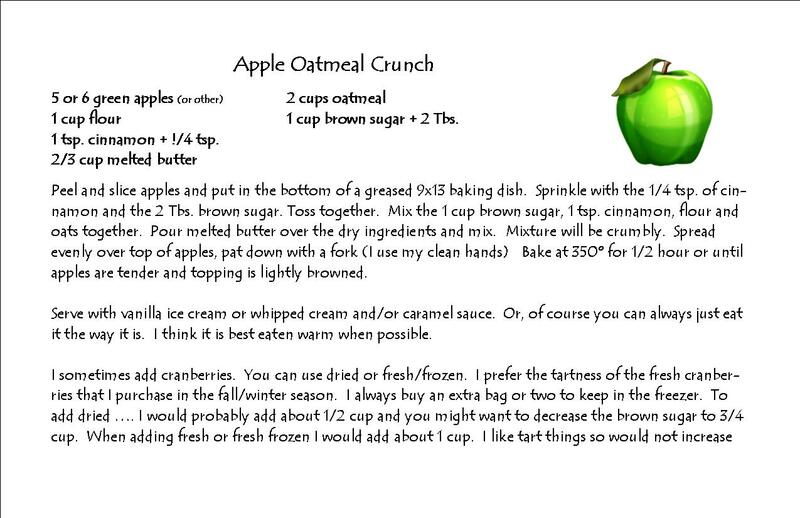 I even have a couple of recipes saved on my computer to print and give out to guests upon request. In the beginning I felt a bit guilty about rotating the same recipes…. Then….. one day…… I realized this HUGE TRUTH…… musicians, magicians, comedians and motivational speakers do this very same thing!!!!!! They play the same songs, do the same tricks, and tell the same jokes and stories over and over again. That’s how they get good at it and that’s how this idea saves time and energy! They play to different audiences so their content is fresh to each new audience. And yes there might be a bit of overlap from time to time but even that has its place. Just like they don’t have to learn new songs, tricks, jokes and stories for every new gig…..you don’t have to learn a new recipe every time!!!!! Repetition is now my friend and I am guilt free! 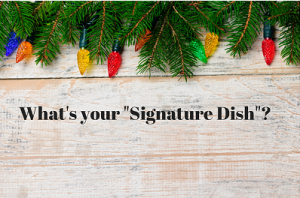 So….what is a signature dish? Wikipedia’s definition of a signature dish is a recipe that identifies an individual chef. Ideally it should be unique and allow an informed gastronome to name the chef in a blind tasting. It can be thought of as the culinary equivalent of an artist finding their own style, or an author finding their own voice. In practice a chef’s signature dish often changes with time or they may claim several signature dishes. May your Holidays be stress free days! Let’s face it….we are all very busy and sometimes getting dinner on the table can seem like a huge task. We are often tempted to run through a drive-thru AGAIN! 🙁 Fear not…. I have some great time and money saving Prep Ahead Ground Beef Meals for you to try. I promise, you will be able to get dinner on the table in about the same time as it would have taken you to get through the dreaded fast food restaurant. And….best of all you will feel good knowing you saved money and fed your family a much more nutritious and delicious meal.